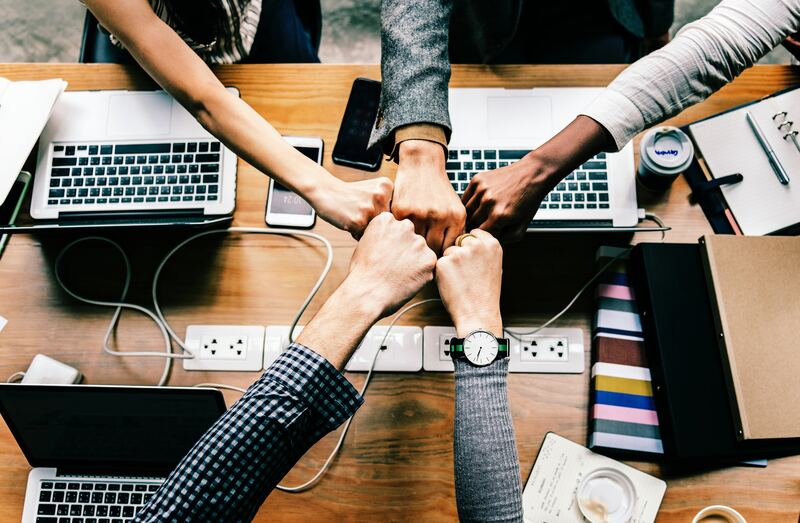 Multi-user Subscription is not merely for team, but also for family, start-ups, and even a 2-person study group. 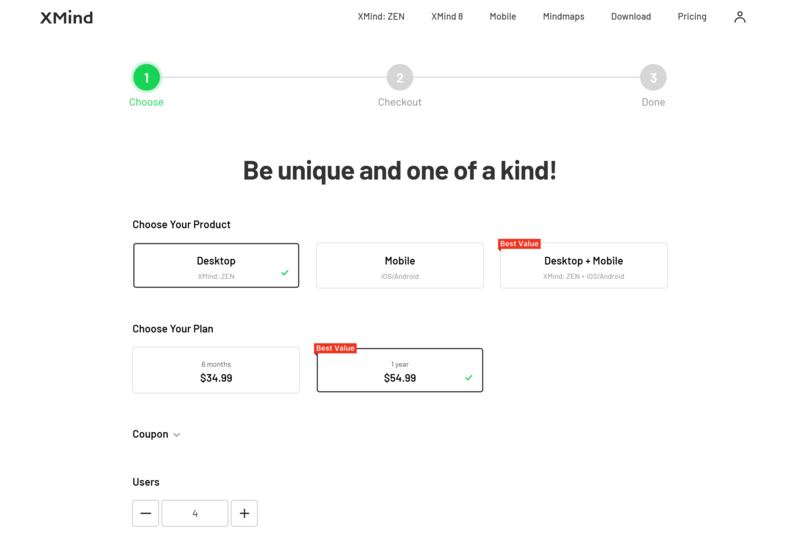 Chose the product and plan once, and your team will be all set soon. If you have chosen XMind: ZEN + iOS/Android which is allowed 2 Mac/Pcs, and 3 iOS/Android devices. Confirm the user number of your team, then click or enter the number in the Users session. 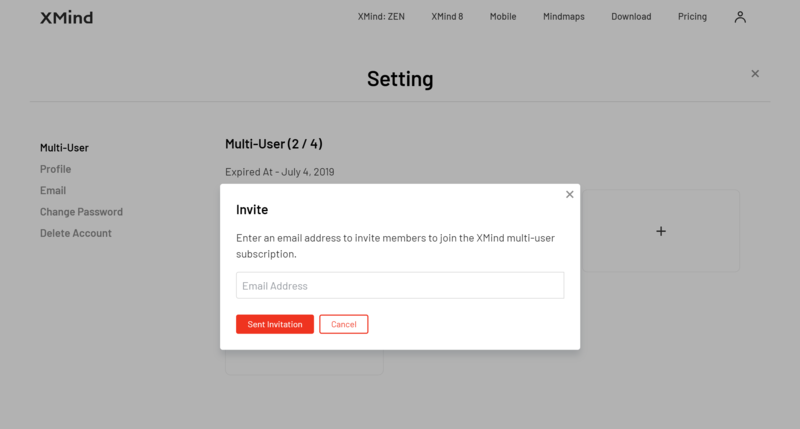 Once the purchase finished, log in the XMind account on the website where you will find your Multi-user Subscription. The person who purchases will become the Owner of the team automatically. Click Manage for the management. Click Add, and enter your team member’s email address. Kindly notice that: please ask the team member to register/log in XMind Account with the same email address. After sending the invitation, the seat is occupied and waiting to be confirmed. The invited team member can join via clicking the invitation link in the invitation email. Click the link in the email, which links to XMind website. 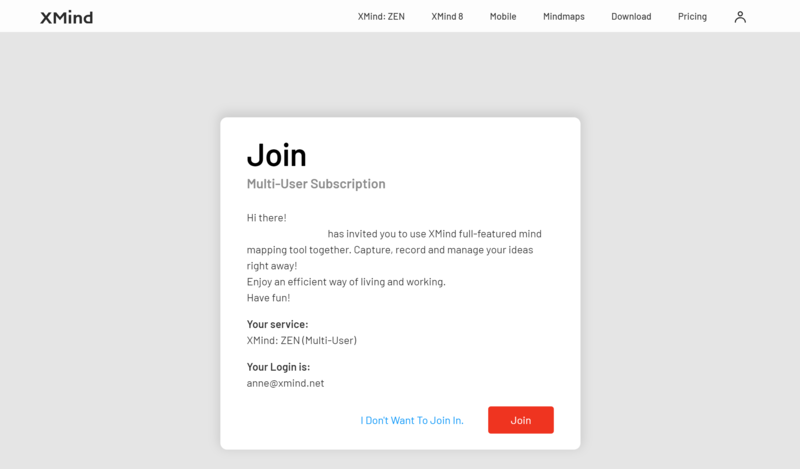 Register/log in your XMind account before clicking Join. Both owner and invited team member can check and manage Subscription status in Setting.